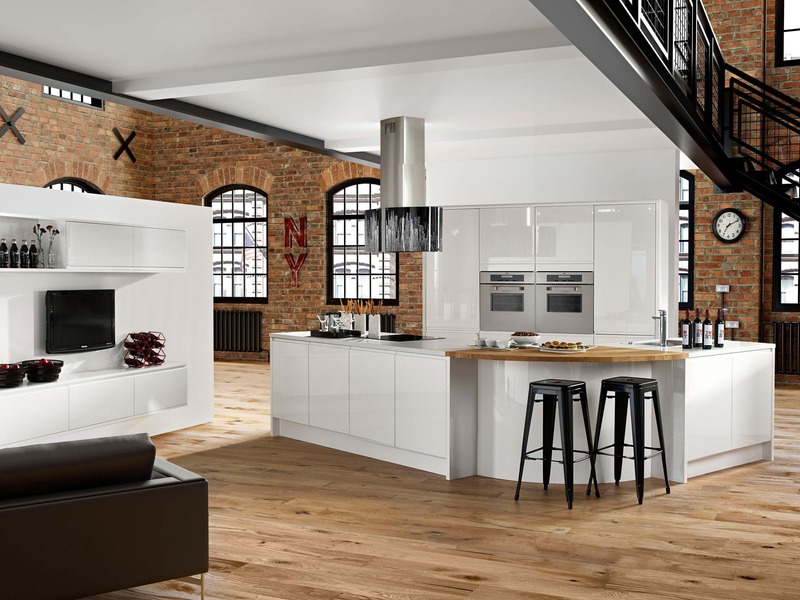 Our range of high gloss kitchens are the perfect choice for a clean modern look and can provide a statement focal point in your home. 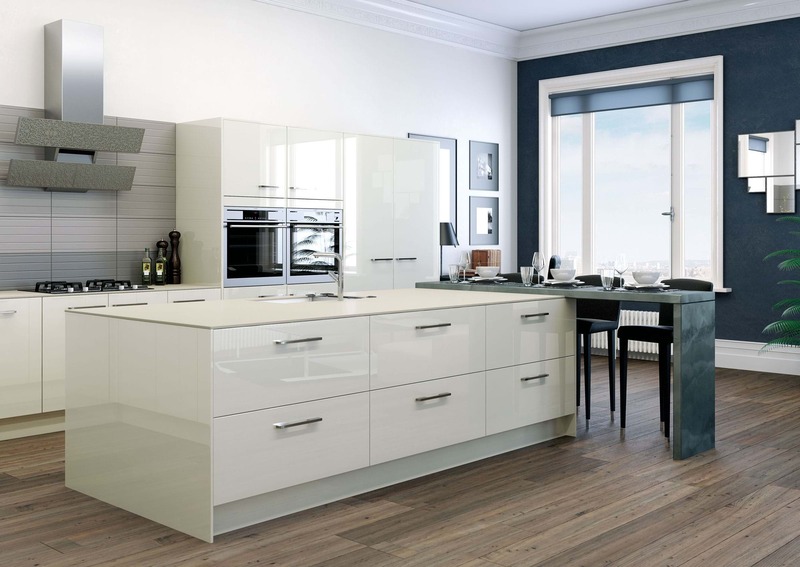 The gloss effect can also be a versatile choice and applied to the shaker kitchen style to give a traditional look with a modern finish. 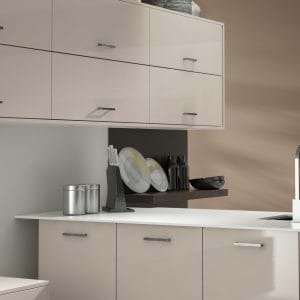 Door options include slab and saponetta designs with contact ‘handleless’ finishes proving increasingly popular when combined with our soft close units as standard. 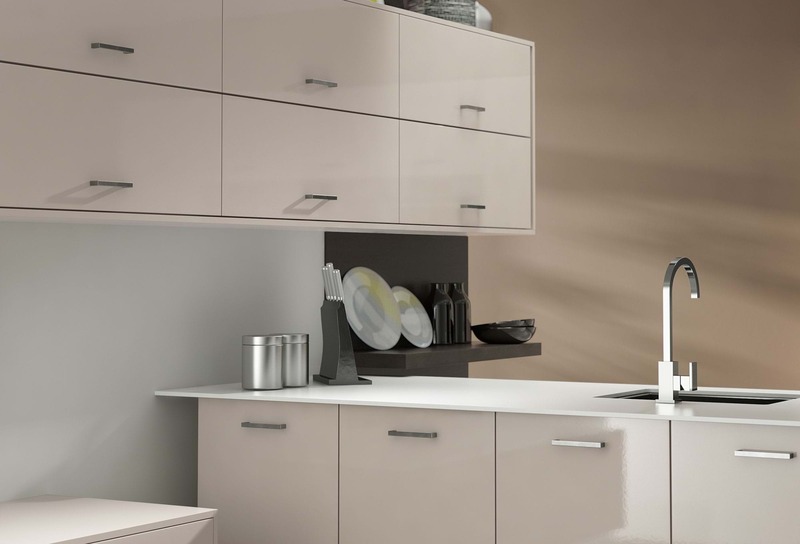 Choose from either a linear touch-release catch, or handles hidden in concealed grooves on the edges of drawers and gloss kitchen doors. 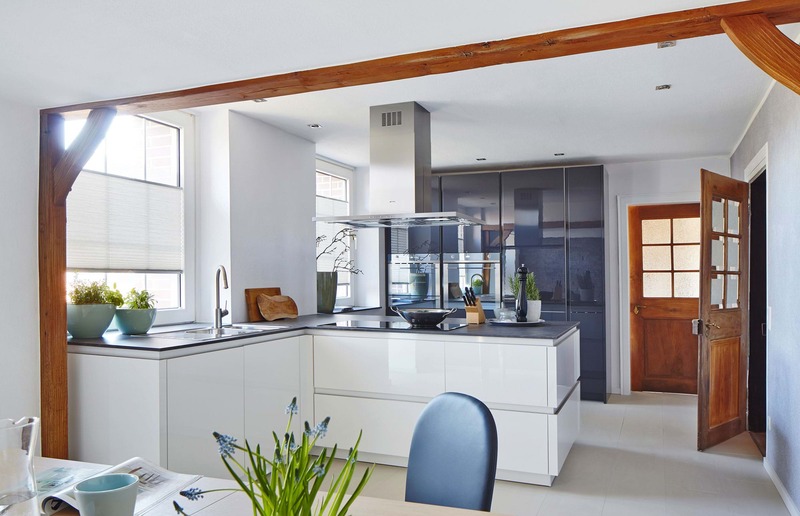 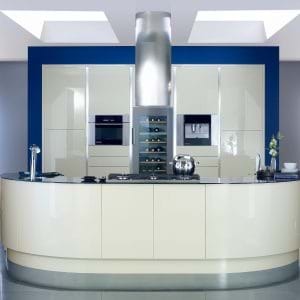 Gloss kitchens co-ordinate particularly well with sparkly granite worktops and glass splash-backs while the fluidity of the finish lends itself particularly well to the soft rounded curves and sweeping corners that are so on-trend at the moment. Bold gloss colours such as blue or red can add a retro appearance especially when combined with our extensive choice of finishing touches such as Kitchen Aid and Smeg appliances. 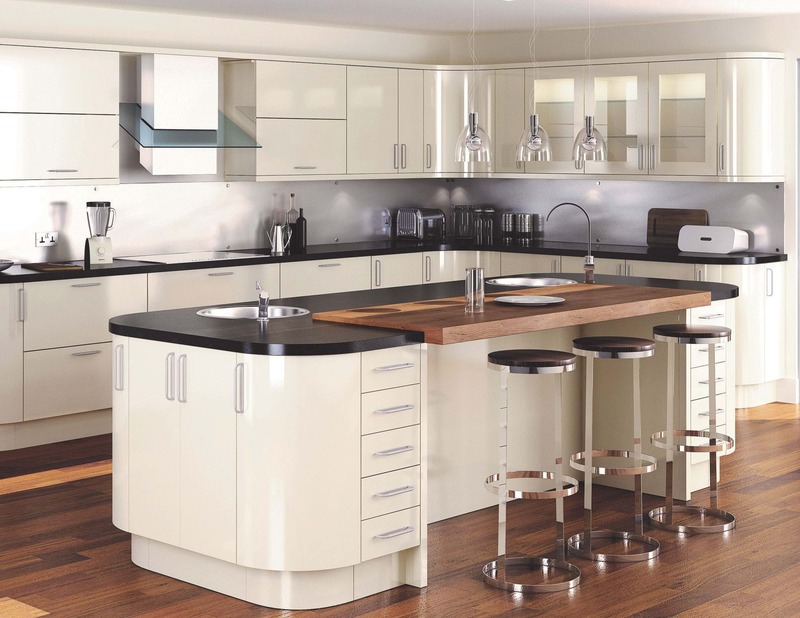 From classic white to graphite grey, a high gloss finish creates understated, elegant kitchens no matter what the desired effect. 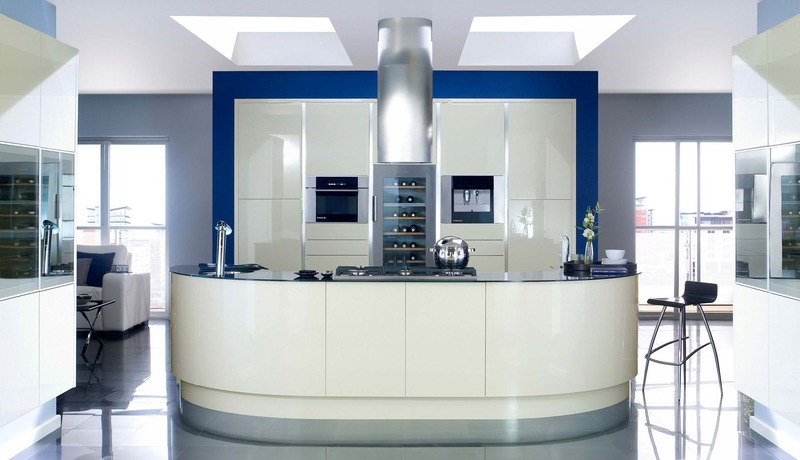 Gloss kitchens co-ordinate particularly well with sparkly granite worktops and glass splashbacks while the fluidity of the finish lends itself well to the soft rounded curves and sweeping corners. 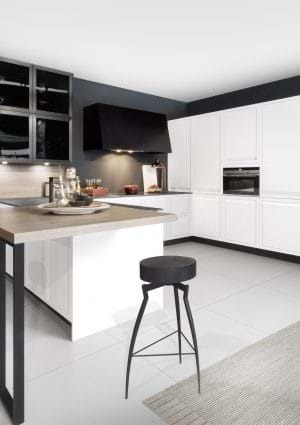 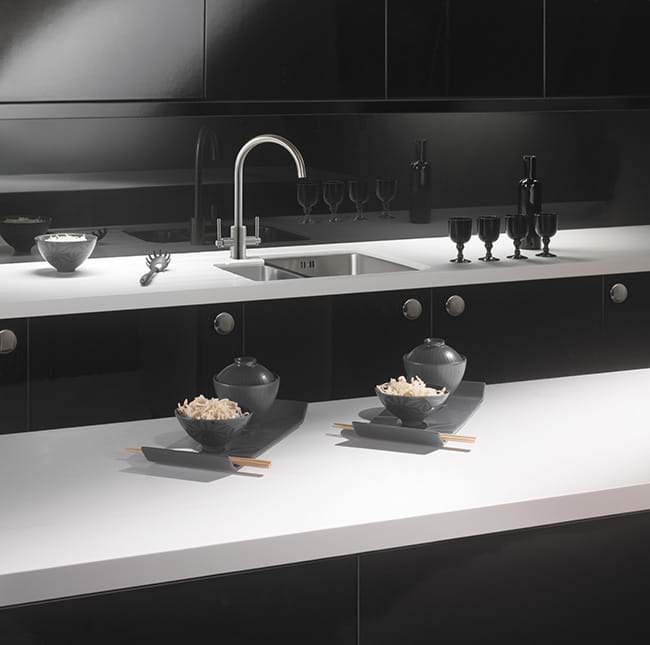 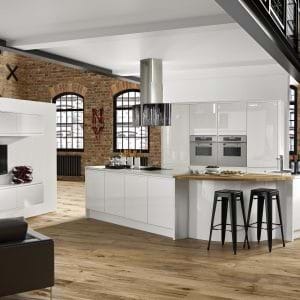 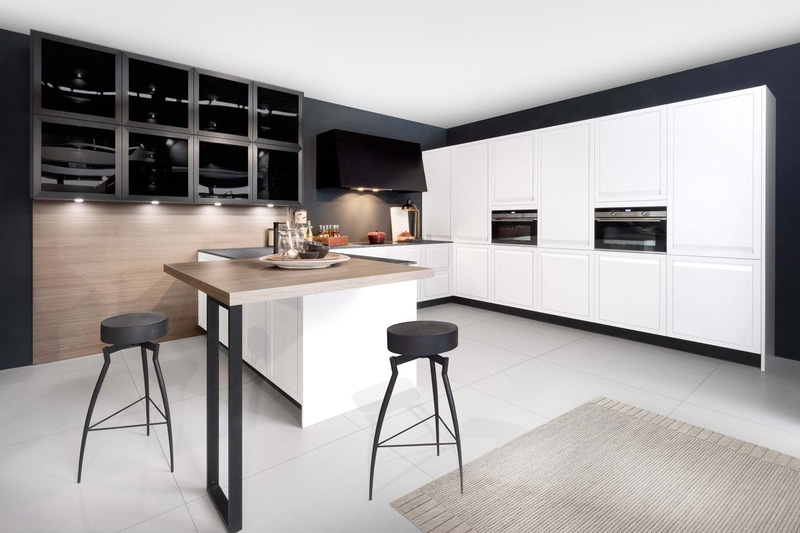 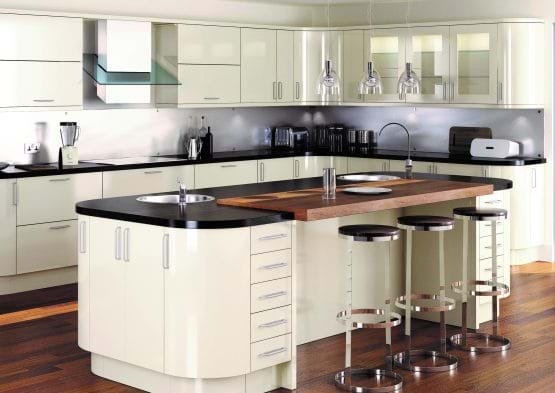 Door and cabinet options include slab and saponetta designs with contact ‘handleless’ finishes which prove to be an increasingly popular choice when combined with soft close units. 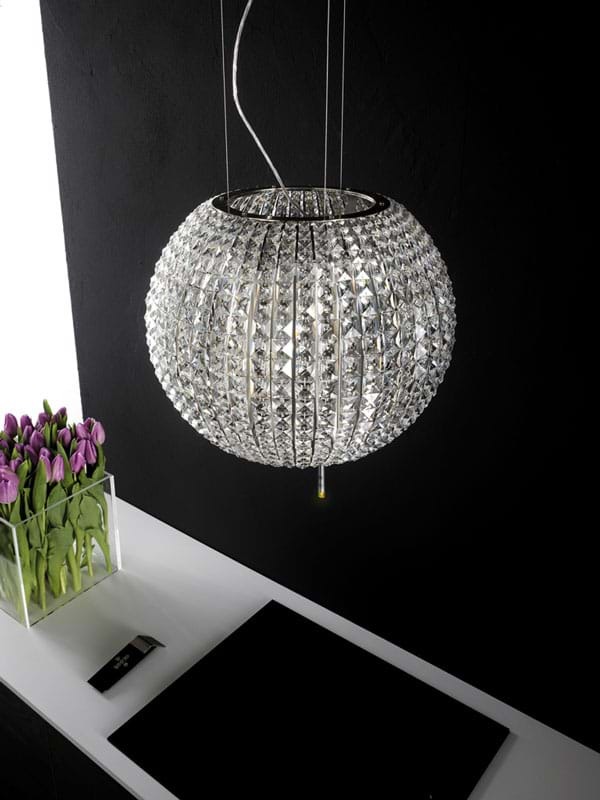 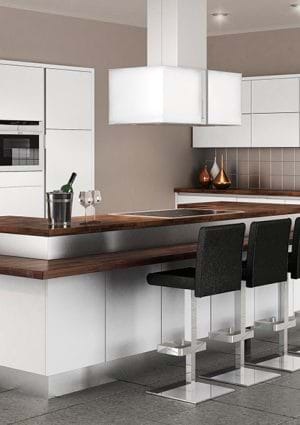 Using a stylish cooker hood can really set off the look of a gloss kitchen, combining a functional extractor fan with a striking light source creates a feature in your modern kitchen. 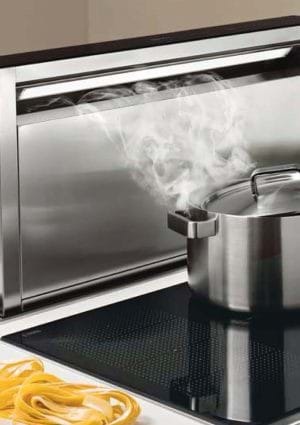 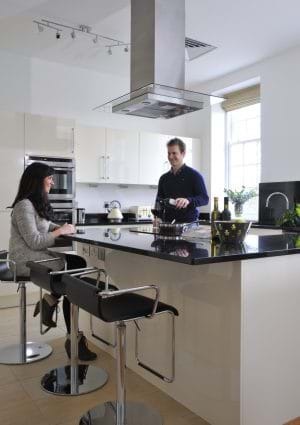 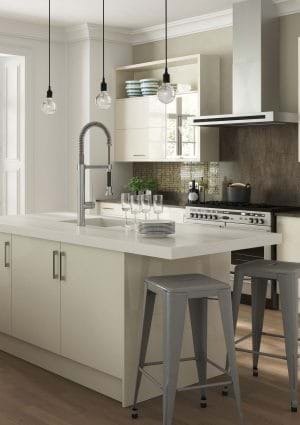 Polished stainless steel small kitchen appliances look great in a gloss kitchen. 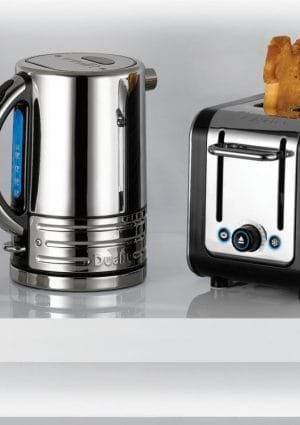 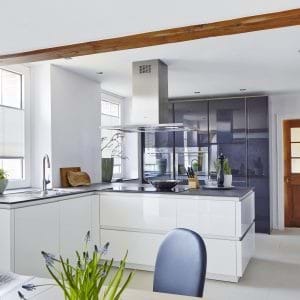 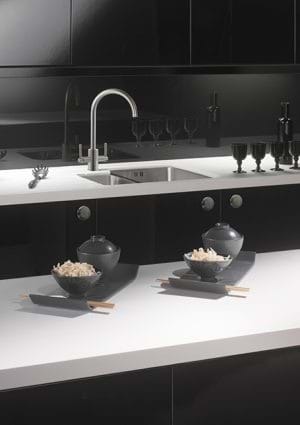 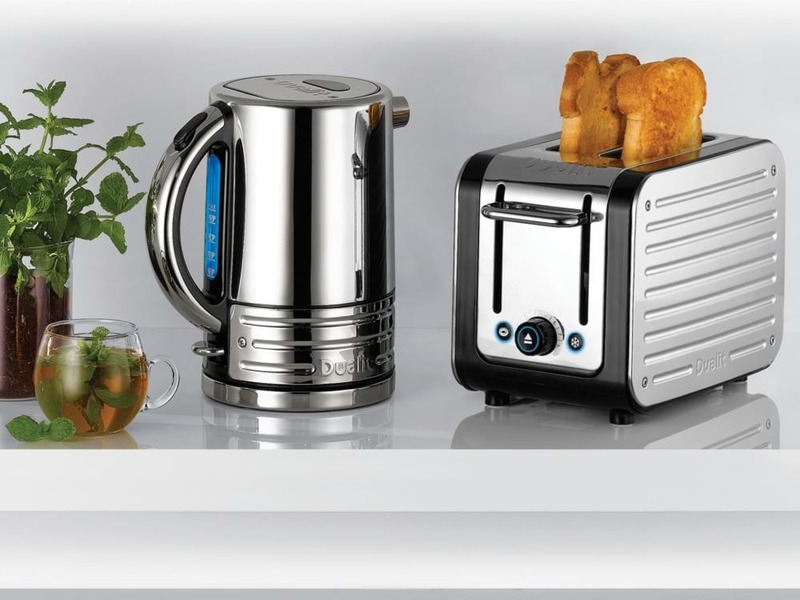 The Dualit architect range offers industrial style with colour changing panels if you get bored of stainless steel.